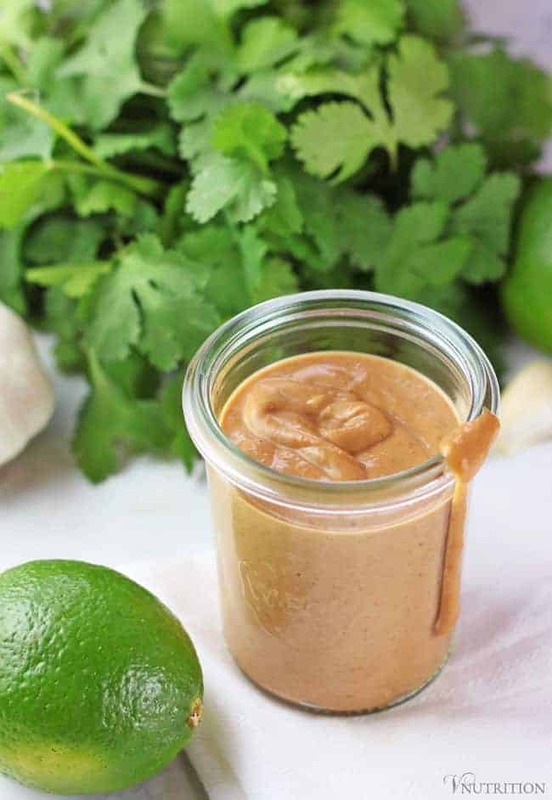 This creamy and easy peanut sauce can be used in so many ways – as a sauce for spring rolls, as a dressing for bowls or grains, or dip for appetizers. It’s delicious and so quick to make you’ll think of a dozen reasons to keep some in the fridge at all times. Quick sauces can be so important when you’re short on time. I know I always keep a few dressings and sauces on hand when I need to get dinner on the table fast. Some of my go-to sauces are my creamy cheesy sauce from Cashew Mac & Cheese as well as my cilantro lime sauce from my Green Power Bowl. Both can be used in all sorts of meals. If you’re one of my plant-based meal planners or love plant-based meal prep you know how important easy sauces can be. 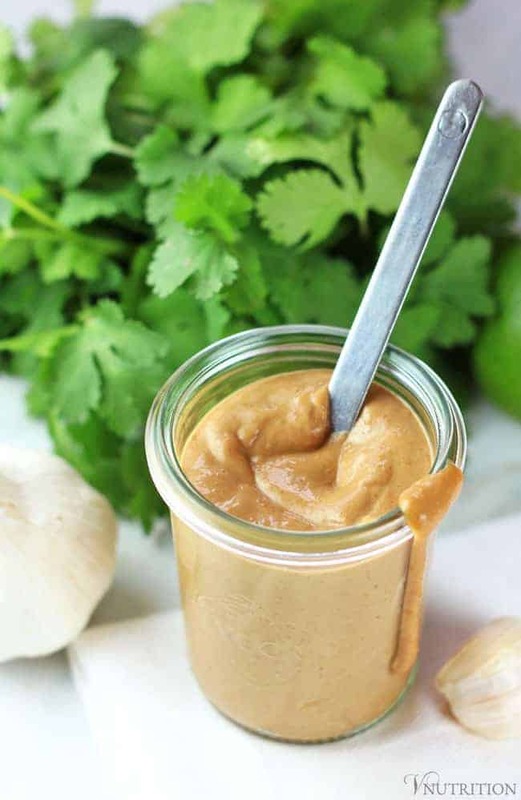 Today I’m sharing another quick sauce that is very versatile – my easy peanut sauce. 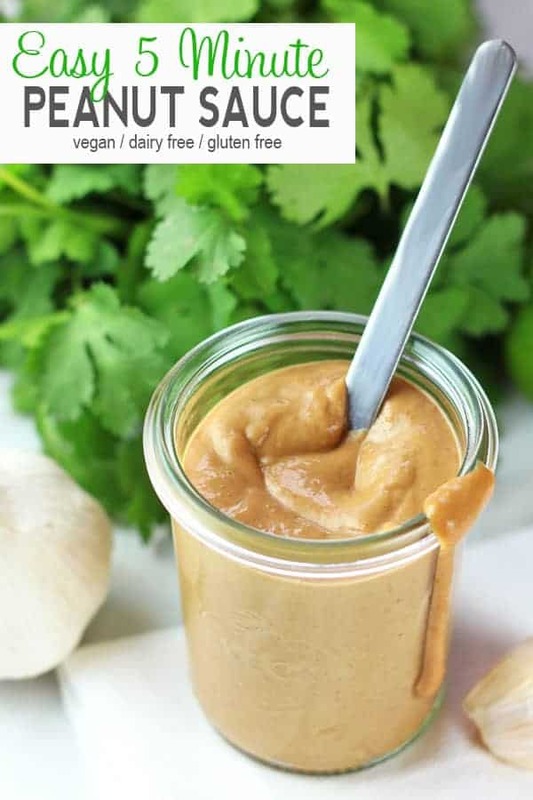 This easy peanut sauce is based on countless peanut sauces that I’ve had at restaurants over the years. I loved it so much when I’m dining out that I made my own healthy version to have at home any time I need it. The sauce is gluten-free, takes 5 minutes to make, and contains everyday ingredients you probably already have right in your kitchen (especially if you’ve stock your kitchen with my Vegan Kitchen Staples). Basically you’re just throwing some ingredients into a bowl and whisking it up – easy, peasy! I also love that it’s healthier than many store-bought sauces that can have fillers, gluten, and added sugar. 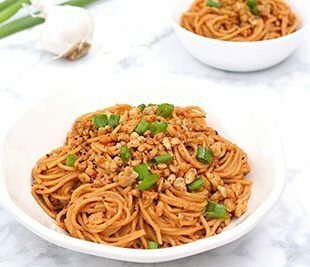 So you might be asking yourself, how can I use the easy peanut sauce? 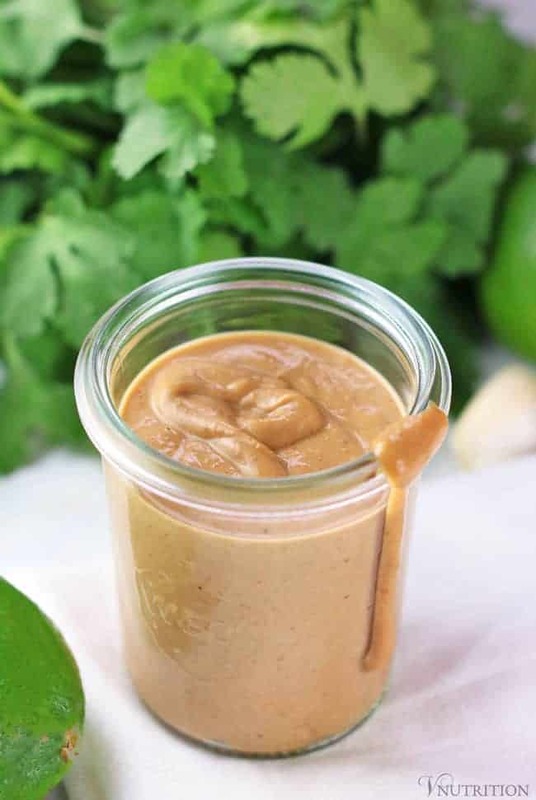 This creamy and easy peanut sauce can be used in so many ways - as a sauce for spring rolls, as a dressing for bowls or grains, or dip for appetizers. It's delicious and so quick to make you'll think of a dozen reasons to keep some in the fridge at all times. If you're using this as a dressing or want a thinner sauce, add more water until you get the consistency you desire. Store in fridge up to 1 week. Mmmmm I love peanut sauce!!! Those are great suggestions for using this sauce too. My hubby can’t do peanuts (boo! 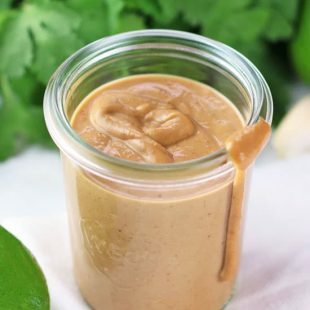 ), but sometimes I’ll make peanut sauce for me and something different for him (like a tahini based dressing). I’m sure that sriracha adds a nice flavor as well! Thanks Randi! I’ve made this with almond butter as well and it’s still really good…maybe just like a tad sweeter if that makes sense. We just made peanut sauce on a vegan cooking course in BAli. This one looks simple and tasty so now we’ve got 2 to try when we get back in the kitchen…thanks! Oh wow! That sound amazing! I’d love to go to Bali someday. Yum! 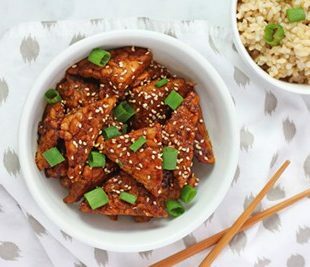 I’m loving peanut sauce on baked tofu lately! yes, so good on baked tofu! I am pretty sure I told you on Instagram but this sauce is definitely something I will try. 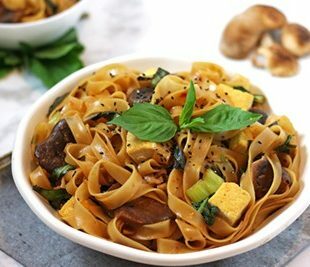 I am a huge fan of peanut butter (although I don’t really like peanuts on their own, strangely) and I know it will be a perfect addition to tofu dishes and other quick to prepare meals.